Hands can express so many emotions and feelings. This gift has been one of my favorite to make since the vision of a family holding hands brings me a warm cozy vibe. 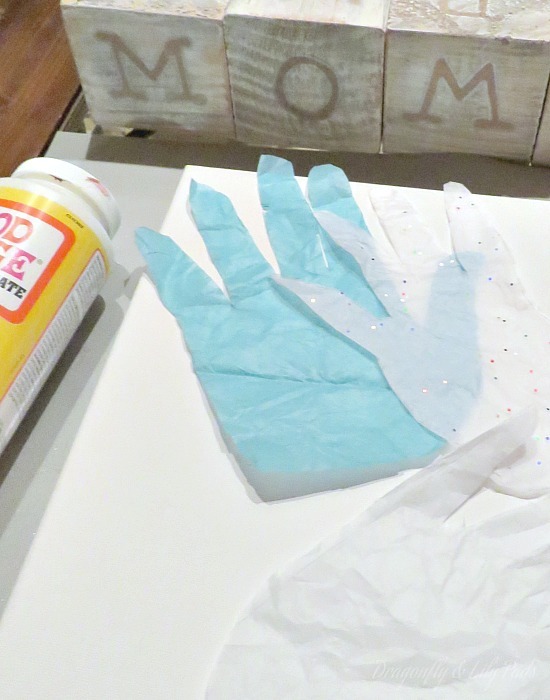 This tutorial of a Mother's Day hand made gift will provide you with the basic tools and ideas. This project came out so cool in less than 15 minutes excluding drying time. A young child would need help but a older children could handle this art/gift on their own. 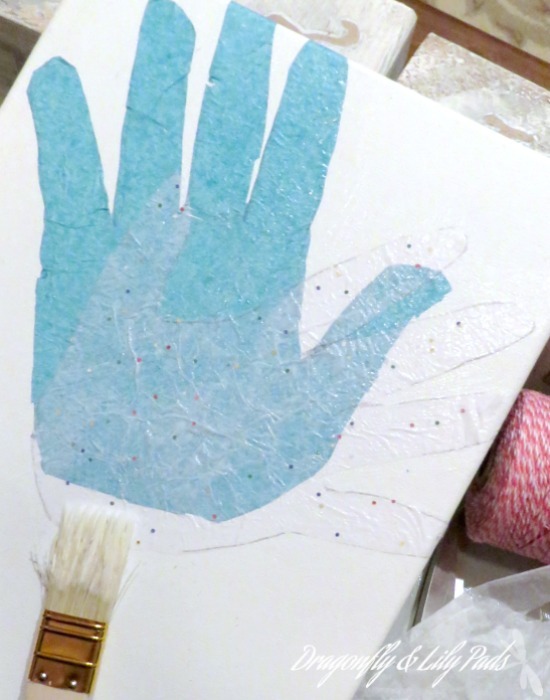 Prepare canvas with covering the entire piece even the edges by painting using the brush with Mod Podge. Trace each family members hands with pencil on tissue paper. Using different shades of tissue paper gives the art some definition. 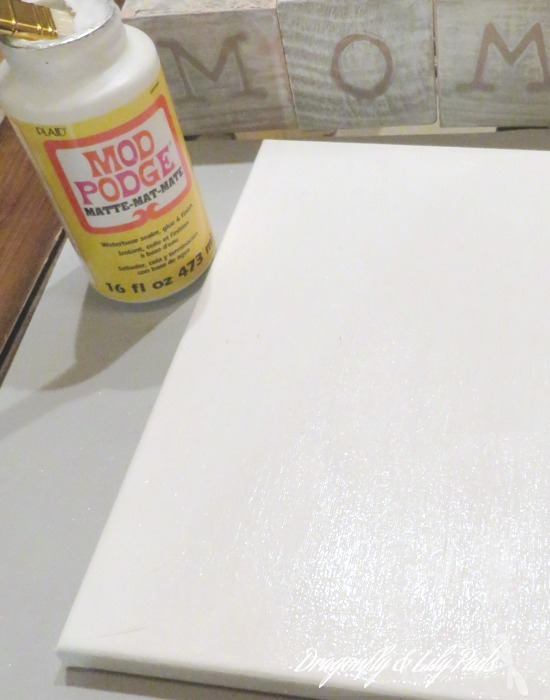 Paint more Mod Podge in the area you want to lay your first hand. 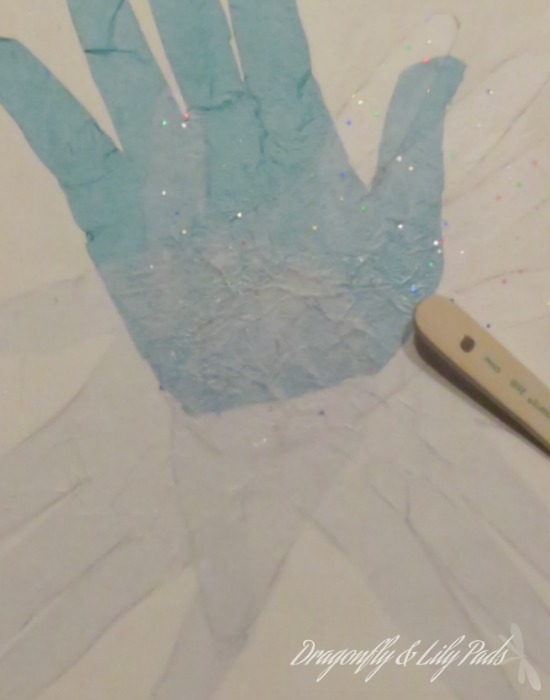 Continue to add another tissue paper hand after repeating the same steps. 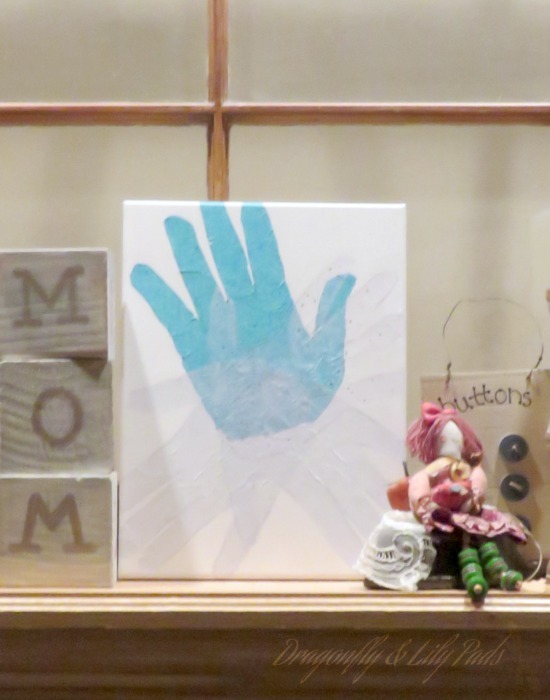 After all hands are on the canvas paint one layer of Mod Podge to seal your art work. You have completed a beautiful present for Mother's Day which any mom would be thrilled to receive. Please post a photo on my Please post a picture of your gift on Dragonfly & Lily Pads Facebook page. I'd be thrilled to see your gifts to your mom. Get your Pinterest button clicking as you will want to have these projects and ideas available to you at any time. Your time is precious and I am honored to share part of your day. Please leave a comment and follow the social media. I would love to learn more about you. It is Craft Lightning Mother's Day this week. Three fabulous blogs are hosting several bloggers projects all week. You will be able to create a different gift for grandma, granny, mom, auntie and of course even your godmother. Thank you to our three hosts below for cultivating a Mother's Day Gift bonanza! Love this Karen! Thanks for joining!